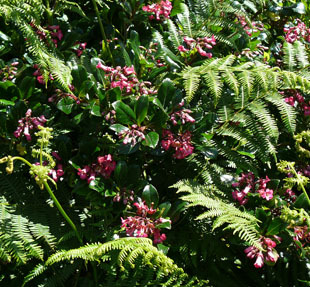 As a hedging plant it is grown throughout the country. the wild since the early 1900s. 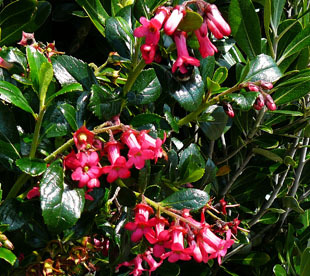 It is widely used for hedging in coastal areas. and roadsides, and in woodland. 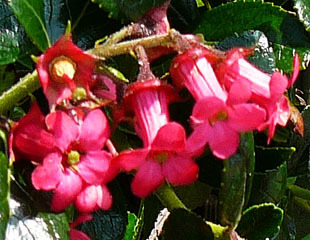 Escallonia is an evergreen shrub. growing up to 4m. 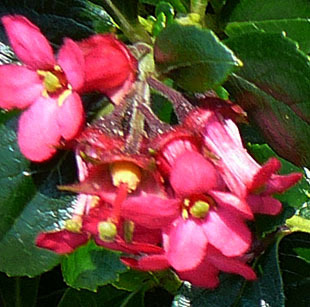 Flowers are pinkish-red and bell-shaped. 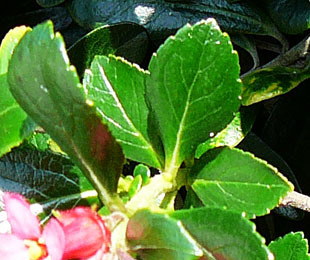 The leaves are dark green, oval to round, glossy and toothed. 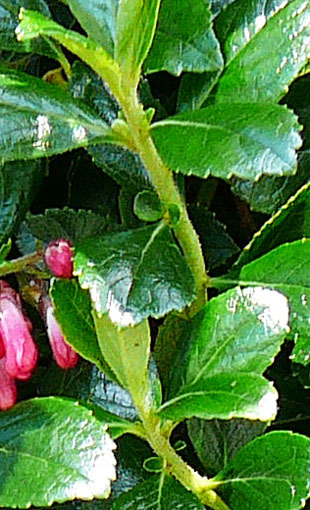 They are resinous on the lower surface. 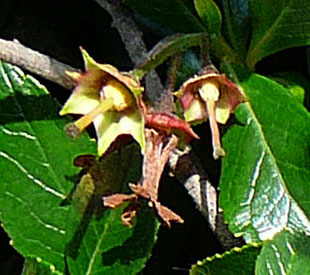 The stems are softly-hairy, glandular and sticky.